At the time of the Bell system breakup in 1984, the monopoly advantages enjoyed by the company (which were wrongly attributed to the free market, not government favoritism) had created an economic behemoth with $150 billion in assets, $70 billion in revenues, and a million employees. The Justice Department had determined that the company had grown too big, however, and filed suit under the Sherman Antitrust Act in 1974. The case, United States v. AT&T, was settled by a consent decree in January 1982, under which the company agreed to give up its 22 local exchange service companies, but keep its interests in Bell Labs and Western Electric. 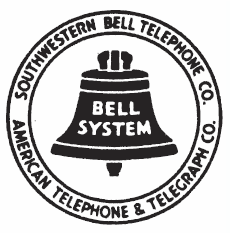 The 22 companies were divided into seven independent Regional Bell Operating Companies, RBOCs, or “Baby Bells.” AT&T continued to operate its long-distance services. At the time it appeared that although the company was less than half its former size, it had retained three very profitable businesses. Bell Labs was the world’s foremost research and development operation. Its scientists had won seven Nobel Prizes, and it was responsible for the development of the transistor, the laser, the semiconductor, and the microchip. AT&T’s long-distance service was highly profitable, and its Western Electric facility employed thousands of people making handsets. But the competition that AT&T had been successfully avoiding for so many years very quickly took its toll on a company not used to competition. AT&T’s Computer Systems venture failed; its purchase of NCR was a notable failure as well; and Bell Labs and Western Electric were sold to Lucent. The Western Electric manufacturing plant was eventually closed in the face of foreign competition. AT&T wound up being purchased by one of the RBOCs, Southwestern Bell, now SBC Communications, in 2005. In the midst of “Ma Bell’s” troubles came the Telecommunications Act (TCA) of 1996, which was designed to open up the long-distance telephone service markets that had been closed to competitors since the consent decree. The act also forced incumbents to allow newcomers to enter their markets by giving them access to their own infrastructure, which was meant to allow competition. But the TCA didn’t lead to multiple companies working to improve existing long-distance service. What the TCA did, instead, was allow the free market to provide lower rates and better service to customers while resulting in the consolidation of the seven Baby Bells to the point now where there are essentially only two competing companies providing traditional hard-wire, plain old telephone service (POTS): AT&T and Verizon. The “inter-modal” competition that subsequently developed (such as wireless service, VoIP, and IP video) now means that communications service providers must compete with informational service providers, causing regulatory headaches for the FCC and leaving them once again behind the curve. While broadband usage — and the importance of broadband to Americans’ lives — is growing every day, the business model for legacy phone services is in a death spiral. Revenues from POTS are plummeting as customers cut their landlines in favor of the convenience and advanced features of wireless and VoIP services. At the same time, due to the high costs of providing POTS, every customer who abandons this service raises the average cost-per-line to serve the remaining customers [as required under the FCC’s rules]. With an outdated product, falling revenues, and rising costs, the POTS business is unsustainable. AT&T and Verizon are undoubtedly correct. Craig Moffett from Bernstein Research estimates that nearly one million phone lines are being disconnected every month. AT&T itself estimates that total industry revenue for basic wired phone service has dropped from $178 billion in 2000 to $130 billion in 2007, and continues to decline. Statist commentators want the FCC to step up the regulation of the Internet, despite a recent court ruling preventing it from doing just that. According to the New York Times, “It is untenable for the United States not to have a regulator to ensure nondiscriminatory access, guarantee interconnectivity among rival networks and protect consumers from potential abuse.” It is clear that to statists no roadblock should stand in the way of ever-increasing government regulatory powers—not even court orders against assuming such powers. If regulations on the Internet are put in place, they will fall under the purview of people like Mark Lloyd, the chief diversity officer of the FCC who complained that he was the target of attacks from the “vast right-wing conspiracy,” namely, blogs, Facebook, Twitter, and other Internet-enabled communication users. Increasing numbers of Americans seem to realize that Powell is correct about the intent of the regulation: to control free speech. According to a recent Rasmussen poll, 53 percent of Americans oppose FCC regulation of the Internet, and among those who use the Internet every or nearly every day, opposition to FCC regulation rises to 63 percent. 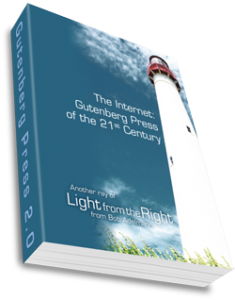 Robert Crandall of the Brookings Institute, taking a slightly different tack, says, “The world that existed in 1984 no longer exists because of [these] changes in technology. The [FCC] had originally wanted to set up long-distance companies that would have provided us with lower long-distance rates. But separate long-distance companies are simply not viable now because of the advent of wireless and VoIP…Whether we could have gotten to this place today without breaking up AT&T is an interesting question, but it’s largely irrelevant.” What is still very much relevant is the continuing and never-ending battle between the regulators who want to control freedom of speech and the increasing number of free citizens who understand and support their right to freedom of speech guaranteed to them under the First Amendment. This entry was posted	on Thursday, May 27th, 2010 at 2:46 pm	and is filed under Constitution, History. You can follow any responses to this entry through the RSS 2.0 feed. You can leave a response, or trackback from your own site.